Summer is almost here and kids will soon be out of school. 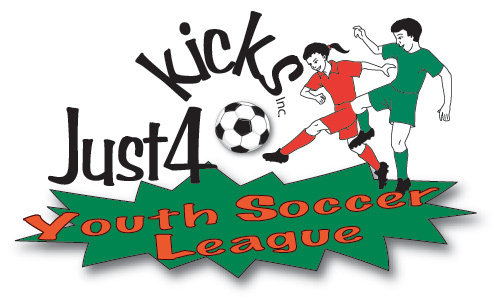 Allow Just4kicks to be part of your summer 2011. We have 1/2 day camps in Vacaville & Benicia. These camps are a great way to prepare for fall league and kids have a blast learning and mastering the basics. Camp is done before the serious heat arrives in the afternoon so you can keep your poolside lounging engagements afterward. Our popular summer mini sessions are back offered in most cities. The 4-week mini sessions are offered in the morning or evening in most cities as well. Links Below. We have more than 70 kids registered for our spring league. The feedback we are getting is tremendous. Here is what one parent had to say about the league so far. "I just had to say I love how organized and peaceful this entire soccer experience has been for my son and our family. We have our other kids in baseball and we find ourselves only wanting to go to the soccer games. We will now have our child in soccer each and every chance we get all because of how great this league is. Thanks to everyone who had a part in it.". The summer league will sure be a hit with Thursday evening games. All games will be played between 6:30-8:30 P.M. Register soon as we can only take four teams per age group/division. With less players on the field, each child has more opportunities to touch the ball, using and improving their soccer skills. With less players on the field, "bunchball" is much less likely to form. The platform for optimal learning and fun is created through the 5 v. 5 format. All players have the role of offense and defense. No more standing back waiting for the ball. All players have a much higher scoring opportunity and exposure to true soccer. Summer adult 5v5 is back. This Summer we will be offering two 7-week leagues. First one will be Co-ed. Games will be Wednesday evenings at 6:30 pm & 7:30 pm. We will only take 8 teams. Cost is $450 per team & you supply your own jerseys or we have pennies. Roster size is minimum 5 and maximum 12. Co-ed means two female players on the field at all times. Visit the site for more info.